Pop the top and let the aroma provide a mental break, allowing employees to refresh and re-energize. kneadpeace™ provides the perfect consistency for strengthening and stretching hand muscles. We use eco-friendly packaging: compostable fill, biodegradable spoons, reusable burlap bags and high-quality glass mason jars, and recyclable boxes. 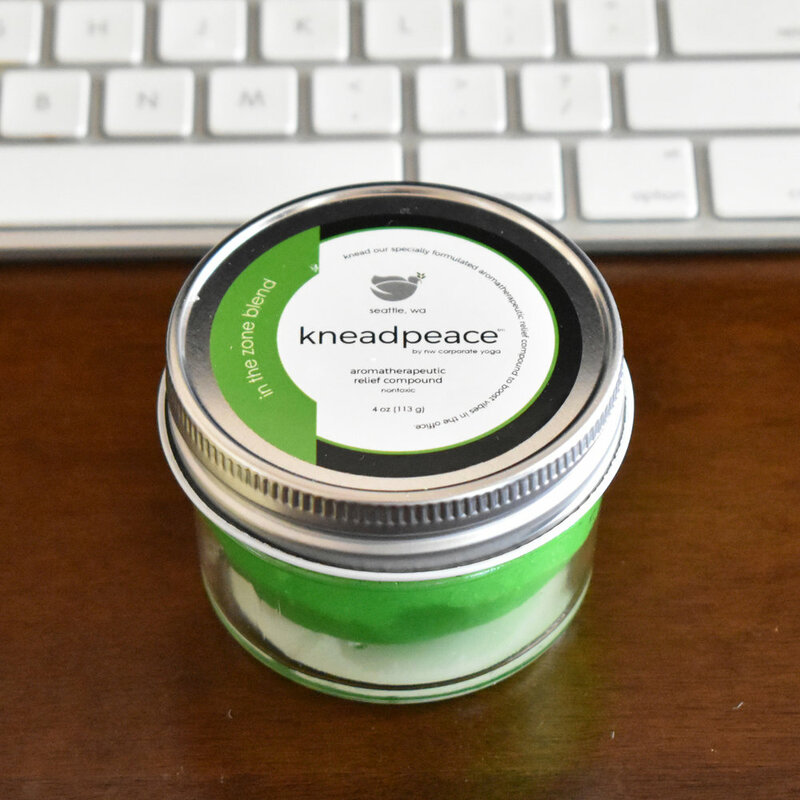 kneadpeace™ is great for absorbing employees’ tension, anxiety, and nervous energy that can originate at work. During breaks, employees can relax and decompress through therapeutic modeling. kneadpeace™ is a fun, proactive solution for encouraging employees in the office. safety issues due to inexperienced replacements. induce relaxation and tranquility during intense work periods. Each kneadpeace™ is made with 100% pure essential oils and all natural grains, fruit oils, and preservatives. We then pack them in high-quality, heat treated glass mason jars to help preserve them for longer periods of time. For more details, click and hover on an image below. Let’s talk about how kneadpeace™ can help your employees perform better. Interested in learning more about kneadpeace™? Curious about bulk pricing? Want a kneadpeace™ sample kit before buying for your office? Simply email us below with your kneadpeace™ inquiry. We’d love to hear from you! Thank you for your interest in kneadpeace™! We will respond to your inquiry within 1-2 business days.